No longer need you wait. 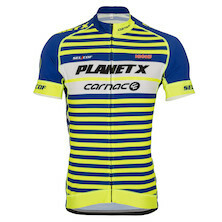 We can finally introduce you to our very own Carnac - Planet X Ladies Team. So please show some love and support for the six top performing, ultra skilled and super competitive ladies who will be representing Planet X. Background: Nicola joins Carnac - Planet X with a wealth of track cycling experience and a desire to challenge herself and competitors in the realms of road racing. Technically skilled and a highly tactical rider, Nicola enjoys twisty town centre circuit races and tactically challenging track races such as the Devil, Points Race and Madison. Nicola has finished in the top ten in the National Track Championships and a close 4th in the National Hill Climb Championhips 2014. Background: Although a latecomer to cycling, Sandra is a strong team leader with an extensive background in sport. As a youngster, she was junior champion squash player and represented the county for discus throwing. She then went on to eventing for several years competing against Olympians. Following this she captained Rugby teams for both Sudbury and Saracens and has also captained her local hockey team – which she helped bring to a national standard. Background: Iona enjoys crits and stage races, and is a good all rounder. A former winner of the Tour of Malta she has raced in Austria, Jersey, Ireland and France. As well as having an extremely strong engine, Iona is a major asset to the team, often working for other riders if there is a particular target or if a race plays to another riders strengths. Background: Lou started out her sporting career in rowing before moving to triathlon where she finished 1st in her age group in Ironman World Championships in Kona, Hawaii in 2010. Having now turned her focus to cycling, she has in her first year achieved a couple of top ten placing’s in the National Team Series Road Race and has recently become the Silver medallist in the National Hill Climb Championships 2014 in Stocksbridge. 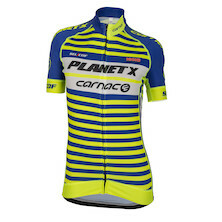 Background: Lauryn joins the Carnac - Planet X Ladies Team as a first year junior this year. It will be a steep learning curve as she steps up to race in the senior ranks. Her big target of the year is to do well in the Junior National Track Championships later on in the year, so she will benefit from the more experienced track riders on the team. Background: Sarah is the most internationally experienced rider amongst the team. Having lived in Germany for four years whilst competing for team Moving Ladies alongside Emma Trott, Sarah has a lot of professional experience to share. She is phenomenally strong having produced a 21 minute ten and will be a great asset to the team. So whilst Nicola and Iona were picking up their new kit we couldn’t help but ask them a few pre-season questions. So how did the team come together? Were you all riding elsewhere last year? Nicola: "Three of us were riding together at GB Cycles (Nicola, Iona and Sandra), we knew Lou from hill climbs"
Iona: "yeh and I knew Sarah from years back, we used to ride on the same team." Nicola: "Sarah used to race pro for a bit. She’s been living in Germany racing on a Dutch team for four years. She’s come back to the UK and wants to start racing again. Lauryn is a local junior racer but she is really confident." What events have you got planned this year? Nicola: "Were doing some of the national road race series. The first one we’re doing is the Tour of the Reservoir, first or second weekend of April, Cheshire Classic at the end of April and the Tour Series which is a big target. They’re really good fun as well. They’re what I’m really working towards this year, those and the hill climb." Iona: "Myself and Lou are racing the Tour Ta' Malta at the end of March and we hope to send the team to race the Rás na mBan (women's tour of Ireland) in September." What’s the plan for the tour series? With lots to think about and plenty of training to be on with we said our goodbyes and wished them luck as they left Planet X HQ with new kit in hand ready for the competitive season ahead in the Track Nationals, Hill Climb Nationals, Tour of Malta, Rás na mBan (Tour of Ireland), Tour Series and World Master Track to name a few. They wasted no time at all in getting out on their new Planet X RT-90’s either as this weekend saw riders from both the male and female Carnac - Planet X teams come together for the first time to test their kit in the Sheffrec CC 2up Team Time Trial event. The event was held at Hatfield Woodhouse and as Sandra accounts in her blog - A VERY windy Sheffrec CC 25m 2 Up TT - Hatfield Woodhouse - the event proved to be a challenging but highly successful one as Sarah and Lou achieved the fastest time in the Ladies category and Nicola and Sandra obtained the third fastest time. Congratulations to you all! So all in all a great start for the season ahead and may we say that the ladies have stirred much excitement and anticipation in the Planet X household as we eagerly watch and support them and discover just how far our ladies can push themselves, the competition and Team Carnac - Planet X itself.